Kia has identified 12 warranty claims related to a glitch on the 2014-15 Soul's accelerator pedal, but no accidents or injuries have been reported, NHTSA documents show. 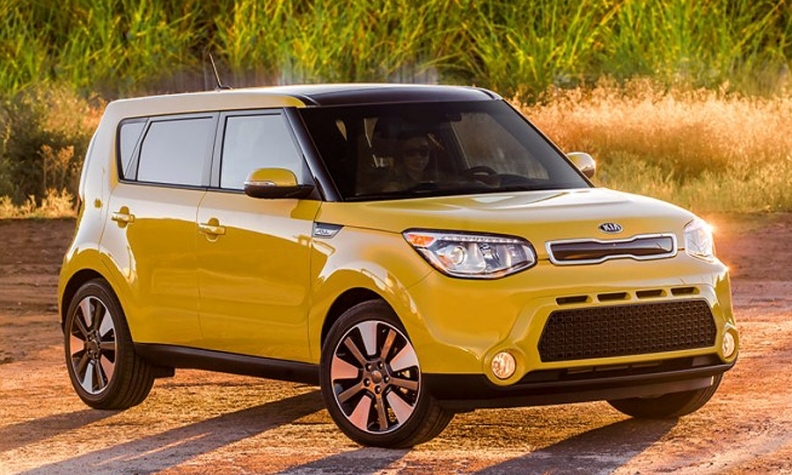 DETROIT (Reuters) -- Kia Motors Corp. is recalling almost 209,000 Soul compact cars in the United States because the accelerator pedal may bend or break, according to documents filed with U.S. safety regulators. Kia is recalling 208,858 gasoline and electric versions of the car from model years 2014 and 2015 because lack of support for the accelerator pedal could lead to problems accelerating the vehicle and increase the risk of a crash, the documents filed with the National Highway Traffic Safety Administration said. Kia officials could not immediately be reached to comment. Last October, Kia Motor America inspected two fractured accelerator pedals from the field and sent them to South Korea for evaluation, according to NHTSA documents. The American unit eventually identified 12 warranty claims for the issue, but no accidents or injuries were reported, the documents said. Kia will add supporting rubber underneath the pedal stopper at no cost and the recall is expected to begin March 24, according to NHTSA documents.